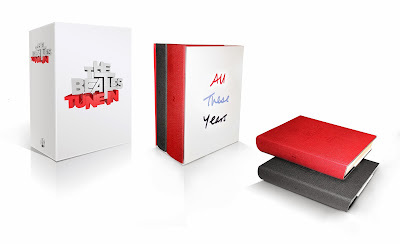 British Beatles Fan Club: Extended Special Edition of Mark Lewisohn's "Tune In" Out Now! Extended Special Edition of Mark Lewisohn's "Tune In" Out Now! The extended special edition of Mark Lewisohn's magisterial book Tune In is a true collector's item, featuring hundreds of thousands of words of extra material, as well as many extra photographs. It is the complete, uncut and definitive biography of the Beatles' early years, from their family backgrounds through to the moment they're on the cusp of their immense breakthrough at the end of 1962. Mark Lewisohn's biography is the first true and accurate account of the Beatles, a contextual history built upon impeccable research and written with energy, style, objectivity and insight. This extended special edition is for anyone who wishes to own the complete story in all its stunning and extraordinary detail. This is, genuinely and without question, the lasting word from the world-acknowledged authority.